SECOORA's track record keeps improving, in no small part because of the interest and support from organizations throughout our region. From North Carolina to Florida, universities, state and local agencies, volunteer groups, fishing associations, businesses, and other groups have joined SECOORA to help save lives and livelihoods. We have over 40 dues-paying members as well as 4 affiliate members. Our members include academic institutions, state agencies, other non-profits, business and industry, and individuals with coastal and ocean interests. View the current membership. Provide Input into Data and Information Products. Because the system is designed by users, for users, membership ensures that products and tools are best suited to meet your needs thereby enhancing your organization’s decision-support process. Leverage your Organization’s Monitoring/Observation Activities. SECOORA is a mechanism to establish data interoperability by establishing and encouraging data management protocols. Participate in Collaborative Opportunities and Networking. Set Regional Priorities. 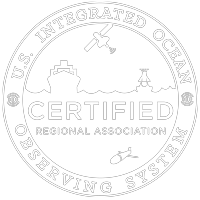 SECOORA provides members opportunities to lead and coordinate the development of the integrated ocean observing system in the Southeast. Access to coastal and ocean related educational products and materials. Determining membership policies and procedures. Your input, guidance, support, and membership will insure that SECOORA continues to develop the products and services that you need. Join SECOORA and be a part of the Southeast's future. To join, contact Debra Hernandez, SECOORA Executive Director.